I didn’t get the photos organized in time for my post last week, but I wanted to give you guys a taste of the experience. 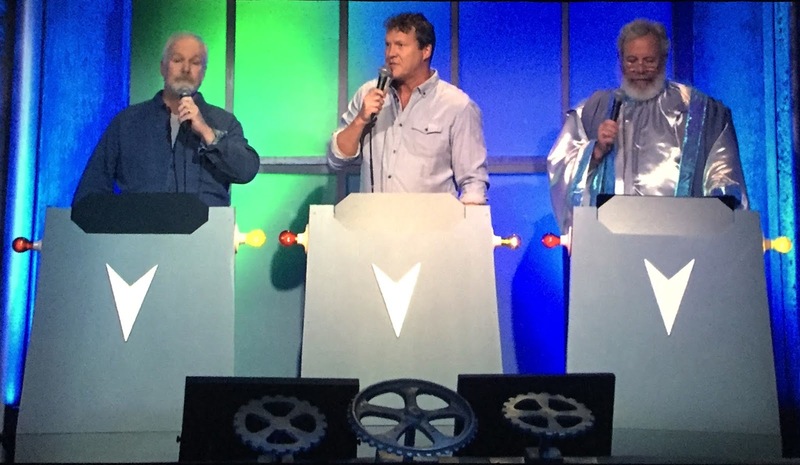 This probably wasn’t the best RiffTrax show, although it had some incredibly funny moments. That said, it’s still the perfect film to riff. Most of the budget was spent acquiring old Battlestar Galactica footage, which they somehow manage to make worse. The vehicles driven on the space ship look like a cross between a bumper car, a golf cart, and a waxing machine. 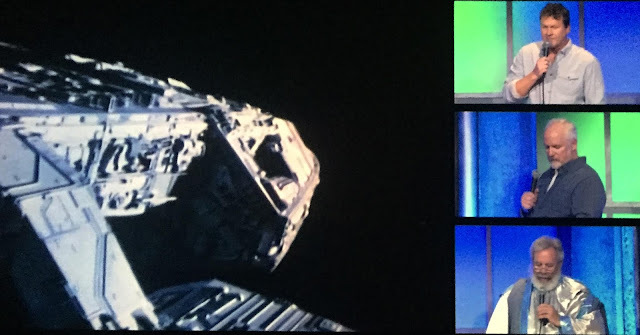 Many sets are reused (and it’s obvious) and some scenes are reused. There is even a scene after a character is murdered where she still appears in place on the bridge. (‘I loved your funeral.’) It embraces all that was cheesy and bad about the 80’s, including early special effects and video games, all while coming out in 1988. Yeah, really. 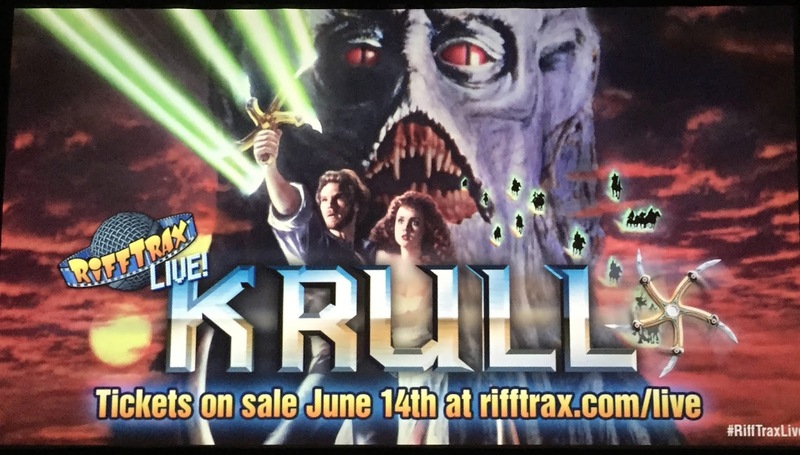 Next RiffTrax: Live is August 25 - KRULL! Beginning a few years after the previous film, Claire (Bryce Dallas Howard) and Owen (Chris Pratt) go back to the island to save the dinosaurs before the volcano destroys everything. But all is not as it seems… Dino chaos ensues. The last film disappointed me. 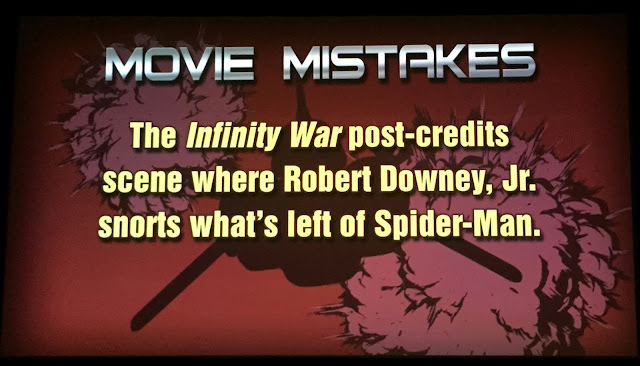 The characters weren’t very likeable and the script had a ton of plot holes and stupid mistakes. This one was definitely a step up. Even though the basic plotline is similar to The Lost World – (slight spoiler) – a group is gathering the dinosaurs with a nefarious agenda. The effects and sets are spectacular. Ironically, I recently re-watched Jurassic Park and those dinosaur special effects are on par with today’s work. The characters are bit more likeable this time around. Big plus there. If you liked the last one, you’ll like this one. If the last one didn’t quite do it for you, this one is better. It’s a little rehash mixed with some fresh material. In 2013 I told my mother that my husband and I had decided to move aboard a sailboat full-time in New Zealand and head off cruising in search of adventure. Like any good mother would, she worried about our safety, but she was supportive of our crazy plan. “All is Lost” (starring Robert Redford) is about a man sailing solo in the Indian Ocean when his boat starts taking on water, eventually forcing him to abandon ship. Although it was critically acclaimed, many in the sailing community panned the movie for being unrealistic in terms of the lack of critical safety equipment on board and the decisions he made. I tried to explain to my mother that the probability of our boat sinking was quite small, but I don't think she believed me. “Captain Phillips” (starring Tom Hanks) was inspired by a true story of a freighter being hijacked by pirates off the coast of Somalia. Once she realized that these weren't Johnny Depp kind of pirates, we were forbidden from sailing in that area. We ended up having such a great time cruising in New Zealand (and didn't sink our boat or get hijacked by pirates), that we ended up buying another sailboat back in the States. 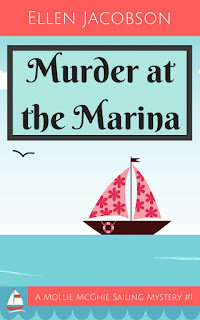 Our adventures and misadventures buying a boat and living aboard full-time inspired my light-hearted, humorous cozy mystery, “Murder at the Marina.” Of course, now my mom is going to worry that we might discover a dead body aboard our boat, like my main character, Mollie McGhie, did. 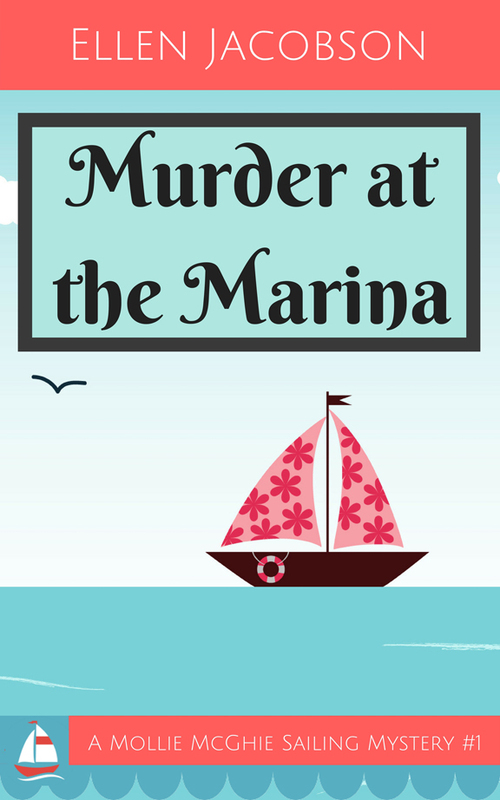 “Murder at the Marina” available at Amazon, Barnes and Noble, Google Play, and iTunes. Find out more at ellenjacobsonauthor.com and follow along on Twitter @Ellen__Jacobson and Facebook @EllenJacobsonAuthor. 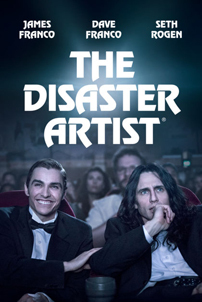 From IMDB: When Greg Sestero, an aspiring film actor, meets the weird and mysterious Tommy Wiseau in an acting class, they form a unique friendship and travel to Hollywood to make their dreams come true. Both brothers are great in their roles. James nails Tommy and it’s almost eerie. Some scenes are hard to watch. Could someone really be that delusional? 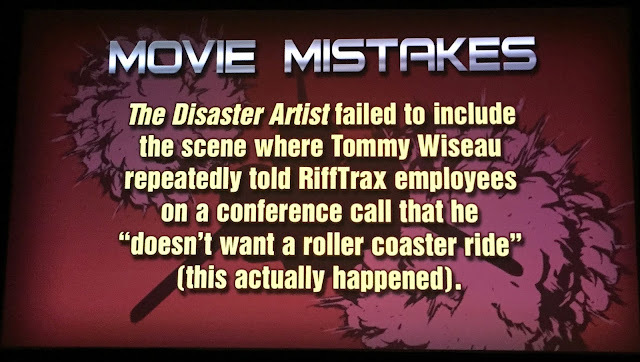 Where did Tommy get the six million to fund this film? Where is he from? How old is he? No one knows, and this film provides no answers. 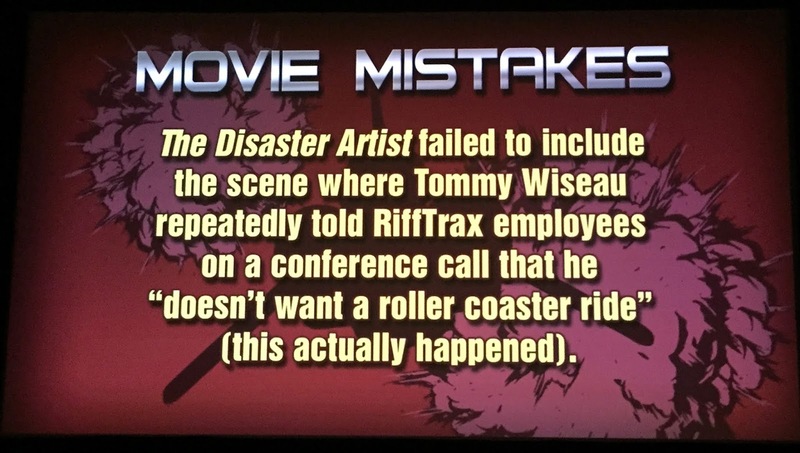 Interesting to watch just because I’ve seen RiffTrax rip The Room. But it didn’t do a lot for me. Your experience may vary. Lustron Corporation, a division of Chicago Vitreous Enamel Corporation, was founded in 1947 and began to construct 15,000 homes in that year and then 30,000 (according to this info above) in 1948. The houses cost between $8,500 and $9,500. Check out her post for images and more details. Multiple Star Wars films still in the works! A few days ago a report came out that Lucasfilm was freezing several upcoming STAR WARS standalone/spinoff movies in carbonite, and that they would be focusing only on the current trilogy, Rian Johnson’s new trilogy and movies from David Benioff and D.B. Weiss. Turns out that may not be entirely correct, as Lucasfilm sources told ABC News they still have “multiple” new STAR WARS movies still in the works. The news outlet reports the Lucasfilm sources are calling the original report “inaccurate,” and that they indeed have movies outside of the Johnson trilogy and Benioff/Weiss series that are in the works and moving forward. No specific projects are named, but in the past, we have heard about a Boba Fett movie from James Mangold and an Obi-Wan movie by Stephen Daldry. SyFy is developing a Nightbreed series. Almost thirty years ago, Clive Barker wrote and directed NIGHTBREED, a dark fantasy horror film based upon his 1988 novella "Cabal." Unfortunately, Barker had to deal with studio-mandated cuts and misleading marketing and the film would go on to become a commercial and critical failure, but over the years, NIGHTBREED has become a cult hit and Scream Factory even released a director's cut of the film in 2014. Last year, Morgan Creek Entertainment announced that they were looking to exploit a number of films in their catalogue, including NIGHTBREED, and it seems that our next trip to Midian will take place on television as Syfy is developing a series based upon Clive Barker's creation. I really dug the movie so I’m curious where they will go with the series. The Kindle edition of Carol Kilgore’s Bluebonnet Ballerina is now available for the pre-order price of 99 cents at Amazon. This price will be good through the release date – July 9, 2018. And finally, there is a movement to remake The Last Jedi. No, really. Yes, go ahead and laugh. No script and no rights from Disney – sure you’re going to remake it! Get the details at Slate. Ready for RiffTrax to tackle Krull? 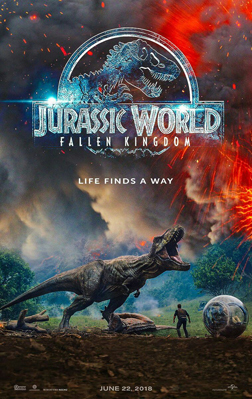 Who else saw Fallen Kingdom? Picking up Murder at the Marina? Surprised by those steel homes? Thinks some fans take Star Wars way too serious…? Remember, Insecure Writer’s Support Group post day is July 3, a Tuesday next week! See you then. This sequel picks up not long after the first one ended. 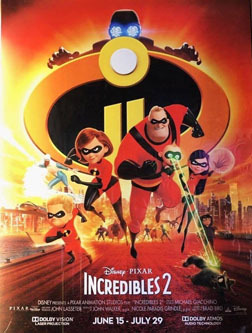 Supers are outlawed and The Incredibles aren’t to use their powers. But a wealthy man and his sister entice them to let Elastic Girl try to change the public’s perspective. The story was a bit slow in the first half. By the second half, it really picked up and went all out. Jack-Jack has some of the funniest scenes. Animation is amazing of course, especially in 3D. It was a fun film but not as good as the first one. You’ll guess the twist and ending really early in the film. Plus the trope of leaving dad at home alone to bumble his way through with the kids is a tired one. Lucious (Frozone) gets a bigger role and they introduce a lot of other Supers. Since they are all forced into hiding though, it does have an X-Men feel about it. The voice talent all returns – Craig T. Nelson, Holly Hunter, Samuel L. Jackson. Plus Winston the wealthy man is voiced by Bob Odenkirk (Better Call Saul). It’s a fun way to kill two hours although not the most memorable. Most of the fresh reviews on Rotten Tomatoes echo that thought. Recommended. The movie is getting a lot of buzz and great response from early viewers, so I’m really stoked. 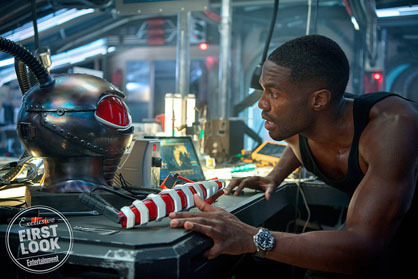 Aquaman is my favorite super hero and it’s good to know they are doing it right. Movie fans can be some of the most accepting and interesting people you will ever meet. A true movie fan can talk intelligently for hours about any type of movie. But, there is a darker side to fandom. There are fans out there who are so full of vitriol and hate that they ruin it for everyone else. Michael Dougherty's Godzilla: King of Monsters is set to come out next May. 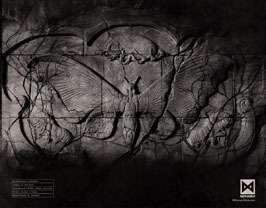 Staring Vera Farmiga Millie Bobby Brown Kyle Chandler, and Ken Watanabe, it features not only Godzilla, but Mothra, Rodan, and King Ghidorah as well. Remake of Ghidorah the Three Headed Monster? We’ll find out! Sony and Entertainment One are now backing The Chronicles Of Narnia series, taking over from 20th Century Fox. Mark Gordon is producing, along with Douglas Gresham (C S Lewis’ stepson), Vincent Sieber and Melvin Adams. David Magee will pen the script for The Silver Chair, which will reboot the franchise with a whole new cast. Good! Not cool to leave this series unfinished. 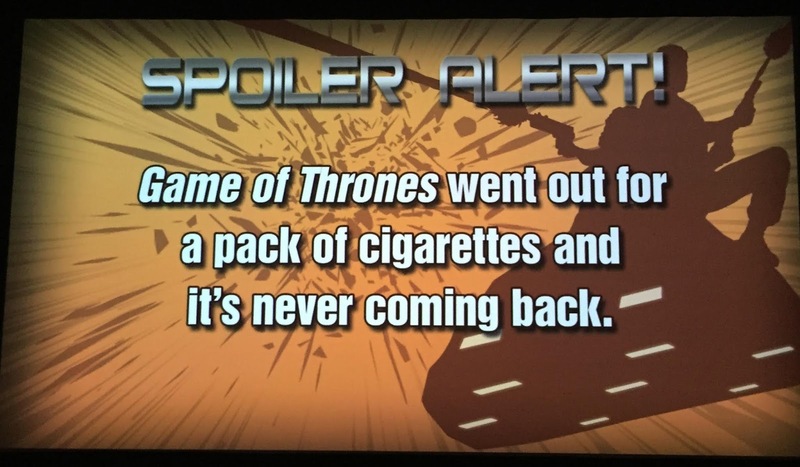 It deserves the same royal treatment as Lord of the Rings. 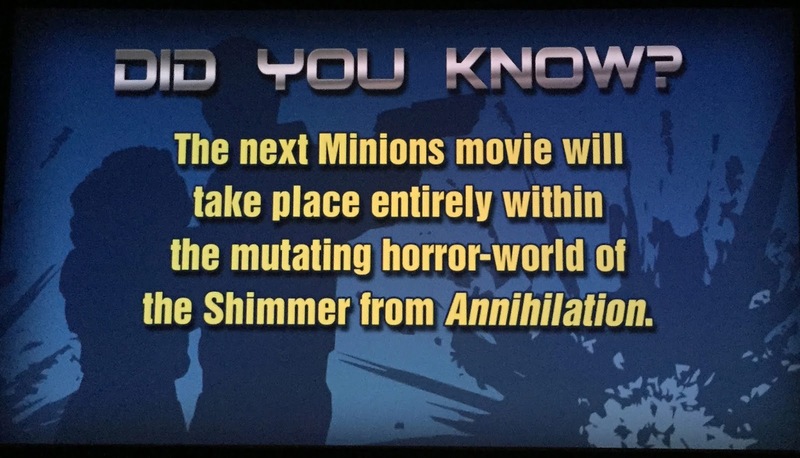 Yes, more movie remakes! Your favorite film from the past is about to become history. Here are some you might not know were coming soon. Aladdin – Releasing May 2019, directed by Guy Ritchie and starring Mena Massoud, Naomi Scott, Will Smith (as Genie), and Marwan Kenzari. Big Trouble in Little China – starring Dwayne Johnson, no release date set. The Blob – Coming January 2019 and directed by Simon West (Con Air, Expendables II), it will star Samuel L. Jackson and Halle Berry. Dune – Directed by Denis Villeneuve (Arrival, Sicario, and Blade Runner 2049), this will likely become two films instead of one. Hellboy – Releasing January 2019 with Neil Marshall (The Descent) directing. David Harbour (Stranger Things) is Hellboy and he’s joined by Ian McShane and Milla Jovovich. The Lion King – Release date July 2019 and directed by Jon Favreau. This live action piece will star Donald Glover, Seth Rogan, Chiwetel Ejiofor, and James Earl Jones reprising his role as Mufasa. Pet Cemetery – Releasing April 2019, directed by Kevin Kolsch and Dennis Widmeyer. It will star Amy Seimetz, Jason Clarke, and John Lithgow. 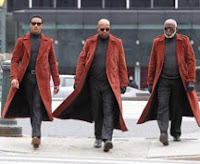 Shaft – Written by Kenya Barris and Alex Barnow, the release date is June 2019. Directed by Tim Story (The Fantastic Four), it stars Samuel L. Jackson as Shaft. Most remakes result in a crappy, cash-grab film. They are easy money since the script is already written and already needs minor adjustments. Or maybe a studio just wants a reboot. (Spiderman, anyone?) Or they just want to swap things around. The results are mediocre at best. Sometimes though, we get a gem. A film equal to or even better than the original. I’m going to list a few I think of as good or even better than the original. The Fly – The original featured Vincent Price and came out in 1958. As with most films of that time, it became dated quickly. The remake starring Jeff Goldblum and Geena Davis was brilliantly directed by David Cronenberg. Not only are the special effects better, but the film takes on a far deeper meaning. 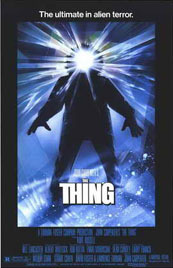 The Thing – The original came out in 1951 and deviated from the source material, a book by John W. Campbell, Who Goes There? The remake in 1982 by John Carpenter followed the story closer and is a masterpiece of horror and suspense. Not to mention the amazing creature effects, done before the days of CGI.. 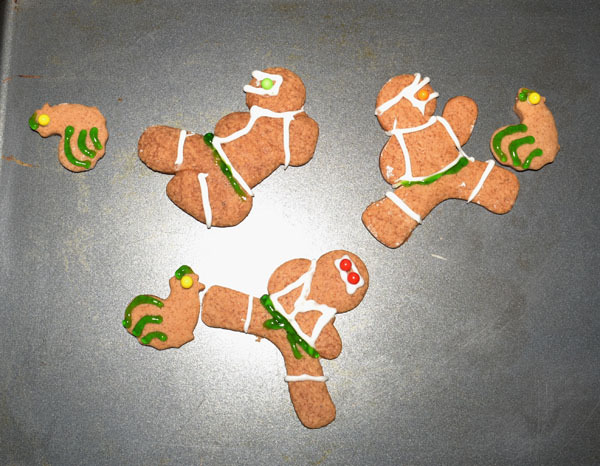 When looking for something in the pantry, we discovered a kit for making Christmas Ninjabread Cookies that we’d forgotten. 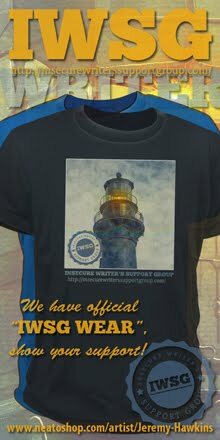 So we went ahead and made them. Merry Christmas in June! Did you catch The Incredibles 2? Ready for Aquaman, Godzilla, and Narnia? Any of those remakes make you cringe or are there some in need of a remake? What remakes can you think of that were equal to or better than the original? 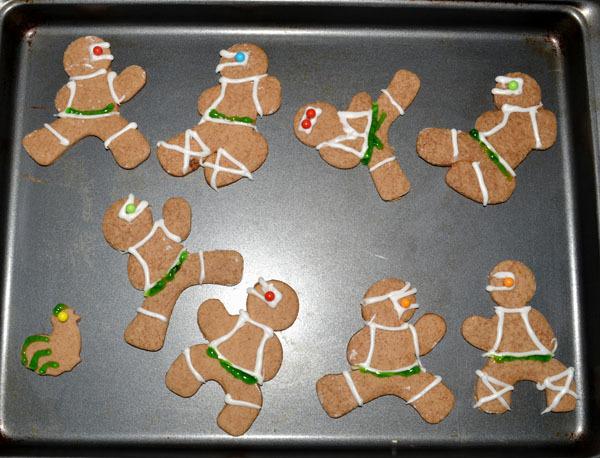 Want a Ninjabread cookie? And how many trivia answers did you get right? 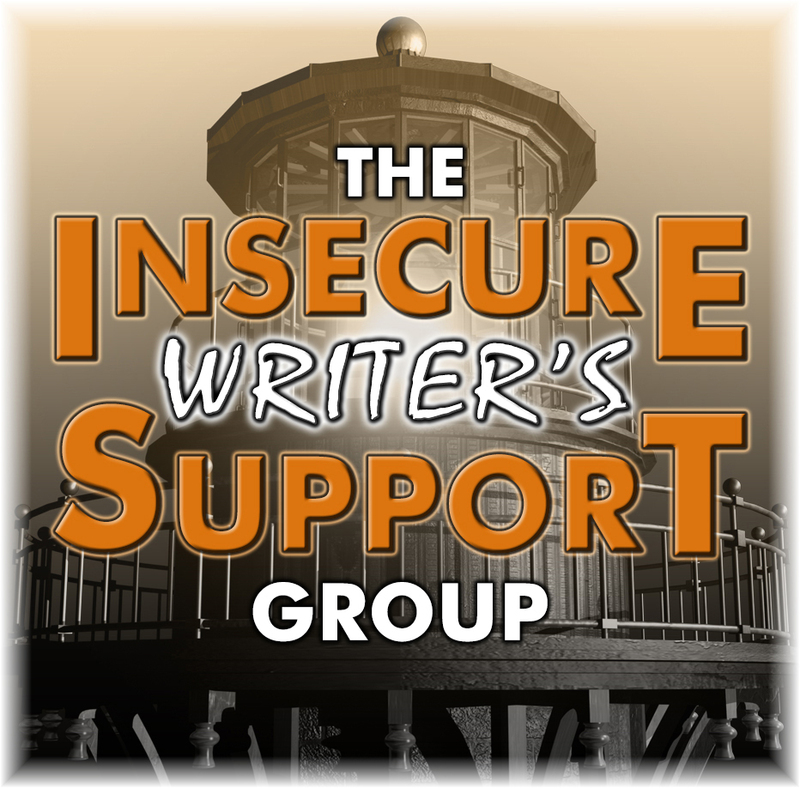 IWSG, Solo and Annihilation Movie Reviews, IWSG Anthology Contest, Movie Trivia Answers, Retro Images, Write With Fey, and More! Please note - the July posting will be on July 3, a Tuesday, due to the US Fourth of July holiday. Definitely titles! Characters are easy. Thirty minutes brainstorming simple alien sounding names and I’m done. But titles? Forget it. 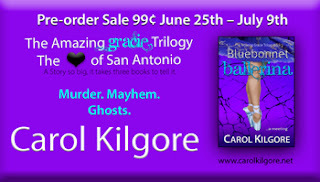 My publisher had to name two of my books. 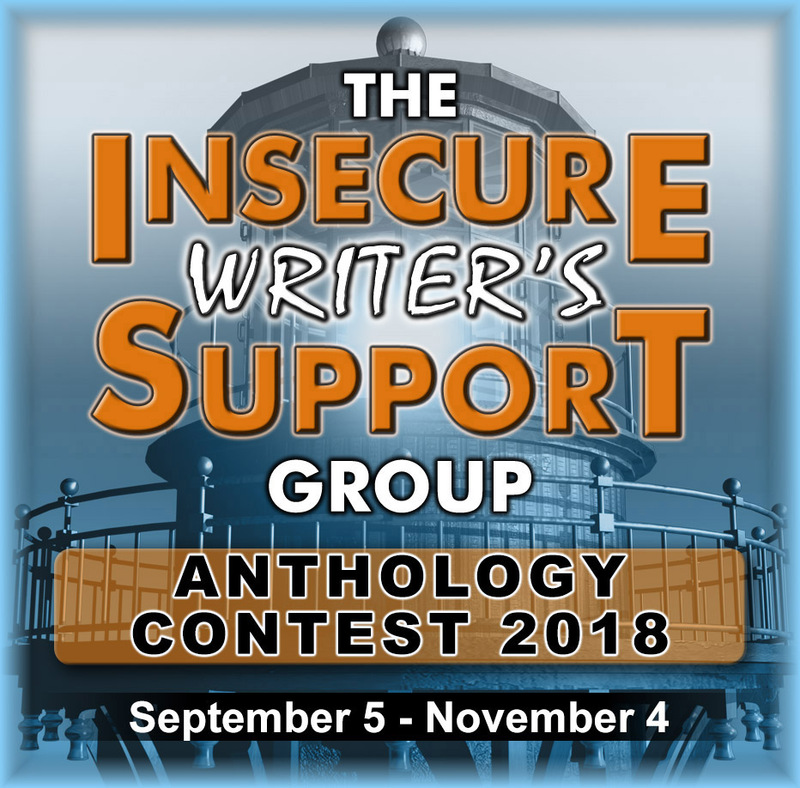 Announcing the IWSG Anthology Contest genre and dates! Young adult romance is the genre. 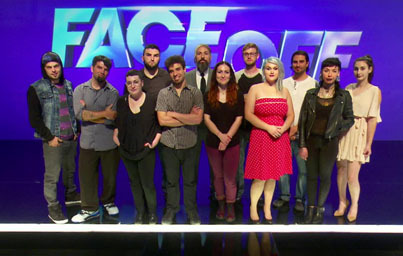 The theme will be revealed on September 5, along with the judges and other details. Our previous anthologies were Parallels: Felix Was Here, Hero Lost: The Mysteries of Death and Life, and Tick Tock: A Stitch in Crime. 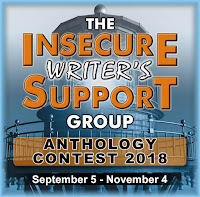 Your short story might be included in the fourth anthology! 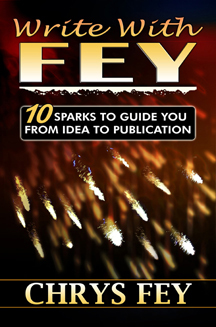 Over a thousand agents and publishers have been invited to tune in that day. Polish your story and your Twitter pitch and be ready! I caught it opening night and to my surprise, it was more enjoyable than expected. 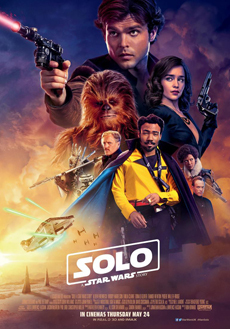 Solo takes place ten years before Rogue One and A New Hope and follows Solo’s quest to get his own ship. The beginning seemed a bit off. It was similar in tone to Rogue One but not in a good way and perhaps a bit generic. However, by the train heist scene, it all started to change. I started to care about the characters and the action picked up. (Perhaps that is where director Ron Howard took over.) The movie grew on me from that point. It is a fun adventure ride. 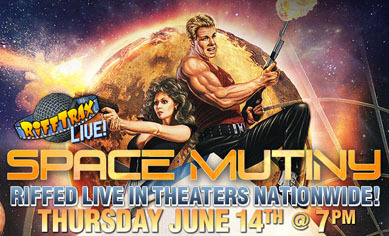 A science fiction Western like Firefly, although not on the same level as Firefly and Serenity. And not as memorable, either. It might end up being the first Star Wars failure. But the cast does their part well and gives you everything they can. 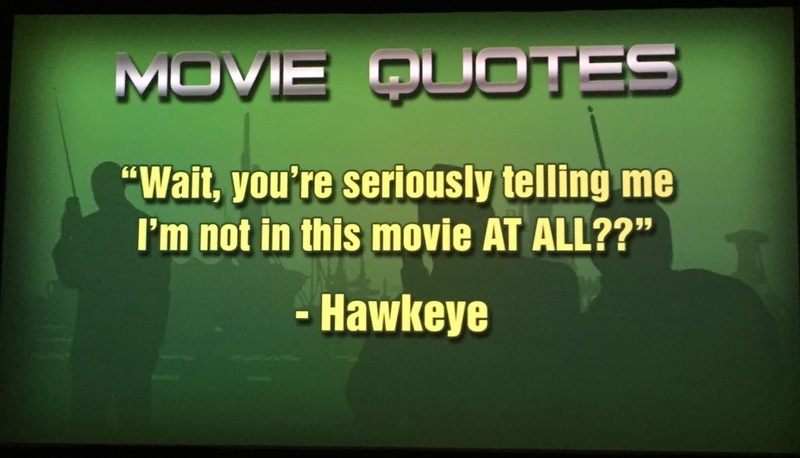 It was a fun movie. If you’re a Star Wars fan, it’s worth it to see this film on the big screen. Recommended. Came out earlier this year – rental. I give it credit for being very unique. If you need all the answers in a film, this one will frustrate you. Much is left to interpretation, including the conclusion. And I don’t think there are any wrong answers. It starts with a feeling of unease that never lets up. 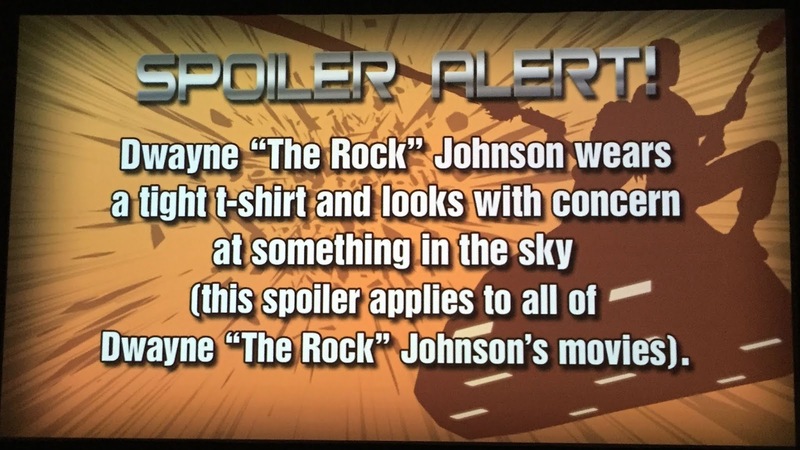 It has a similar odd tone as the movie 2001, plus many what-the-heck moments. 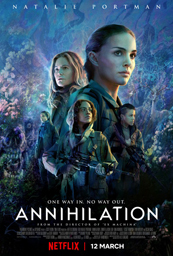 I wasn’t invested in the main character (either in the movie or my attempt to read the book) despite the brief flashbacks filling in her past. Or maybe it was because of those? 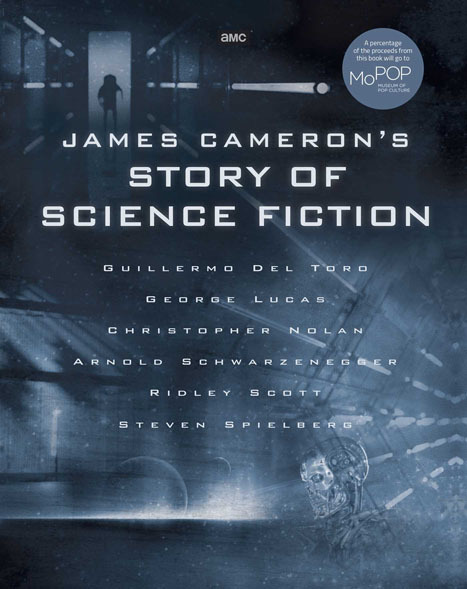 However, it’s a fascinating and intriguing piece of science fiction. I wouldn’t watch it again, but I was hooked on the eerie and unique storyline. It’s a really distinctive take on alien invasion. Be warned it is rated R and there are some very disturbing and gory scenes. However, they won’t be what you’d normally expect. 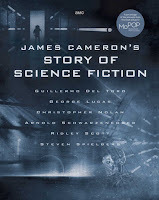 I’d recommend it to someone looking for something really different in science fiction. My buddy Jeremy Hawkins has started a new business. He’s offering mini 8x10 files from non-copy-written images from films, ads, etc. 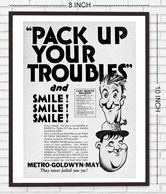 [prior 1931] but instead of selling prints, the customer gets the file .pdf/jpeg. Then they can print the images for themselves. He’s done all the work finding these images and cleaning them up. Now, Jeremy has thousands of them! 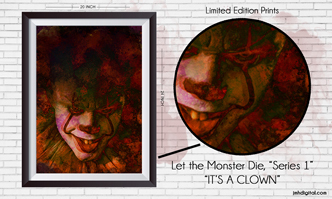 Images are just $3.00 each. Jeremy has gone through a rough year, mentally and emotionally, and is struggling. Please check out his Being Retro shop on Etsy and pick out a cool image that speaks to you. 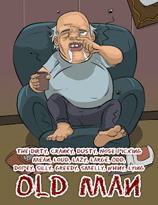 The next Strangely Funny anthology was released. It features a story by CD Gallant-King - The New Job. GIVEAWAY! Open to all from June 4th 2018 – July 6th 2018. Click HERE to enter. 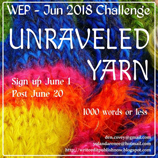 The WEP – (Write...Edit...Publish) team, consisting of those much-loved bloggers, Denise Covey, Yolanda Renée, Nilanjana Bose and Olga Godim, are open for submissions for their June 1 challenge – UNRAVELED YARN. We’re not necessarily talking knitting and crochet, but if that's what you want, fine! A yarn is a long and rambling, often improbable, story. But we’re not talking long and improbable - a crisp and convincing flash or non-fiction, or poem, or photo essay, whatever genre you choose, is what we’re after. Serenity, meet Disaster. A lie found out, the unpicking of a tall tale. A crime taking an unexpected turn. A bad-hair day. An ordinary walk spiraling into a crisis. A romantic encounter ending in chaos. Take your pick with the unpicking! Give us your yarn! Let your imagination unravel! The trivia was about R-rated films that made a ton of money. 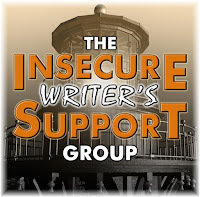 What’s easier for you – titles or names? 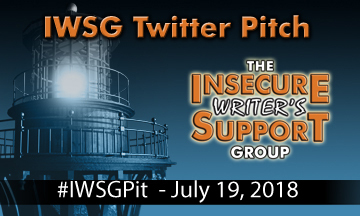 Excited about the anthology contest and #IWSGPit? Did you catch Solo? Picking up some books or trying your hand at WEP? And did you get the trivia right? Be sure to explore Jeremy’s Being Retro shop on Etsy and hopefully buy an image. You’ll make his day!